Welcome to Best Western Plus South Coast Inn! Enjoy easy access to the freeway from our Goleta hotel, conveniently located with a great proximity to beach destinations and Santa Barbara. This Goleta Best Western has only one goal: To make sure every guest has a fantastic trip. Whether you're here for business or pleasure, enjoy a spacious room and the best amenities that set the stage for a memorable trip. At our Best Western hotel close to Santa Barbara, guests always come first and each of our staff members is committed to making your stay comfortable. The Best Western Plus South Coast Inn is known for its cleanliness, great value and free hot breakfast. Stay close to the beach without overpaying and enjoy a great value during your trip to southern California. The Santa Barbara Airport is close by, making it easy to catch those early morning flights. As an airport-adjacent hotel, we host a number of guests in town for short stays and an easy commute to their connecting flight. 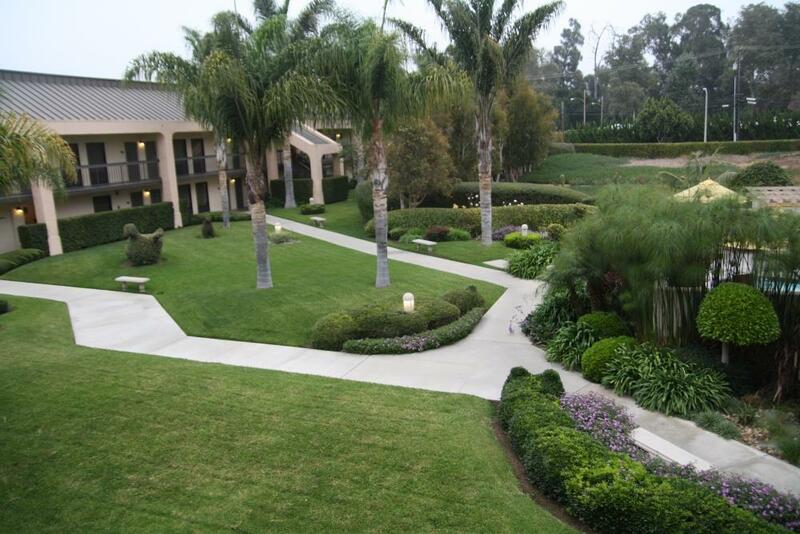 Our hotel in Goleta is also close to UCSB, and a number of students, faculty and staff stay with us. If you're here for a special event like graduation, depend on our Goleta hotel staff to make you feel right at home. Professors and faculty who need an extended stay enjoy the large rooms and quiet of our property, ideal for taking care of business. With the beaches steps away and quaint restaurant and dining options nearby, a trip to the area is always a treat. When guests stay at our Goleta hotel, they know they'll be treated to luxury bedding while taking advantage of an unbeatable value. Location is everything, and there's no reason why you can't do a little beach bumming even when in town for a few days of work-related travel. From: The south. Take Interstate 101 North, take the Patterson Avenue Exit. Turn right on Patterson Avenue. Make an immediate left at the first stoplight on Calle Real. The Best Western Plus South Coast Inn is located mile up the road on the right side. From: The north. Take Interstate 101 South, take the Fairview Avenue Exit and turn left over the freeway. Turn right on Calle Real at the second stoplight. The Best Western Plus South Coast Inn is located mile down on the left side.